Dog owners usually notice an improvement in social skills,obedience,and overall physical condition from just one or two days spent at daycare each weeks. We have lots of dogs that use our facilities but this doesn’t stop our high level of care and attention to your dog. We only use positive reinforcement in our centre and we always correct unwanted behaviour. We do reward dogs with treats and toys but above all love. We offer feeding at the exact times you wish for your dog and all dogs are fed desperately in their own feeding area to ensure your dog gets its own food in peace. We have specially designed collars used on the dogs who need that extra bit of a tailored treatment with different requests on such as (no treats). All the dogs have there own school bag too where belongings and food can be kept on their own peg with their picture and name on. Special certificates are awarded for the dog of the day everyday and goodies given to take home, also we have puppy awards for the pups who show very good behaviour whilst in our caring Hands. 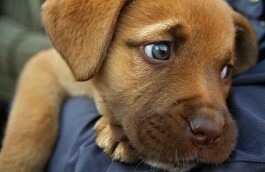 Dogs that are bored may become destructive, have accidents or cry for company and stimulation. Healthy stimulated dogs are less likely to indulge in destructive behaviour and channel there energy into much more positive things like being the mans best friend they want to be. That’s where Dog Day care comes in. Dog Days Dog Day Care understands the relationship between owner and dog is important. Our intention is not to replace you as the primary carer but to supplement your care by providing exercise. Socialisation, mental stimulation and above all love and care when you’re not there. Depending on your dogs needs they can enjoy playtime inside and out in our fully secure play areas. The whole centre is heated & also has air conditioning. DogDays is fitted throughout with special k9 shock absorbing flooring too! We also offer your fur baby some quiet time if needed in the unique chill out zone fully equipped with a doggie TV and DVD with their favourite films and comfy beds for snuggles. 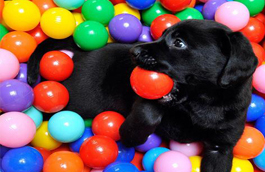 We have a bubble fun area where we have a special dog bubble machine producing different yummy flavour bubbles which are completely dog friendly for the dogs to play, pop and eat or simply go bonkers with, Which is ideal for the energetic breed to burn their energy into something fun. Why not check out our additional services such as Dog grooming in our bespoke salon inside our Dog Day Care Centre.